at the Mystic River Resort in Belize! 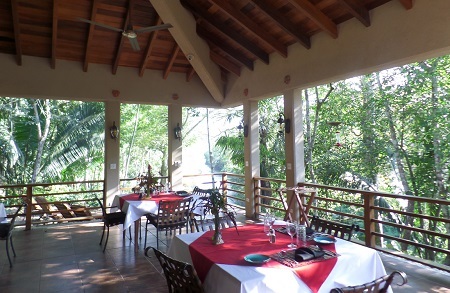 Mystic River Resort offers a relaxed brand of Central American eco-tourism. 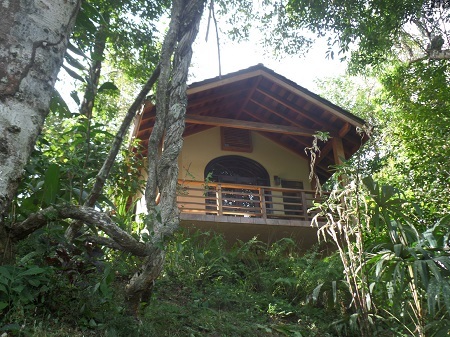 In Belize, ecological awareness is becoming increasingly important, and at Mystic River Resort, it is very important to us. We take pride in the fact that we generate our own electricity without sacrificing the small luxuries life has to offer. We also collect and purify our own water, which is safe to drink anywhere on the property. As part of a reforestation program, we have endeavored to replant many indigenous trees cut down during the logging years in Belize. Hotels may have fancy lobbies and high-rise views, but at Mystic River, we’re returning to nature – in comfort and style! While visiting with us, try your hand at exploring some fascinating Mayan ruins and caves, tube or canoe down the river, zip line over a canopy of jungle forest, or relax on your own private patio overlooking the river and do nothing at all. Take a cool refreshing dip in the river; swim the deeper Eddy or just sit in one of our inner tubes and let the cool water swirl around you. The choice is all yours. At Mystic River Resort you can always keep your friends and family up to date with your latest adventure using our wireless internet conveniently available in the La Ranita Restaurant dining room and Palapa Bar. Your perfect vacation is waiting. Offer is based on a Single or Double Occupancy in a River View Studio Suite - Maximum Occupancy 2 Guests. 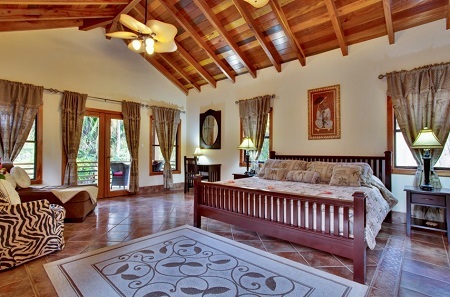 Stay a minimum of 2 night or up to 10 nights as desired and based on availability.